The NHL has released their three stars for last week, and familiar names occupy each spot. Marc-Andre Fleury is in the top spot after going 3-0 with two shutouts for the Vegas Golden Knights. Fleury allowed just one goal on 77 shots and is now carrying a .911 save percentage on the year. While that number is down from last season, Fleury leads the league with 32 wins and eight shutouts while also having played the most minutes of any goaltender. The Golden Knights are leaning heavily on their starter, a strategy that will be tested when the playoffs roll around. Blake Wheeler and Sidney Crosby were awarded second and third respectively, each scoring eight points in three games. Wheeler’s performance was capped by a four-goal game against the Columbus Blue Jackets yesterday, giving him 80 points on the season. Crosby, who has 83 this year is actually on pace to record his best offensive season since 2009-10 and crack the 100-point mark for the sixth time in his career. The GM meetings began this week in Florida, and Frank Seravalli of TSN examines ten potential rule changes that the group will be discussing. These include things like changing standings tiebreaker rules, changing how much a player can be fined for certain incidents, and perhaps even forcing players to wear helmets during warm-ups. It doesn’t sound like any huge changes will come out of this week’s discussions, but there might be a few tweaks. The AHL trade deadline passed today with very little fanfare, but not for Stuart Percy. The former top prospect was traded from the Belleville Senators to the Providence Bruins in exchange for Austin Fyten. Percy, originally selected in the first round eight years ago, has just 12 NHL games under his belt and is currently on a minor league contract. Wheeler, 32, is coming off the most productive offensive season of his career and one in which he proved his status as one of the most versatile players in the league. 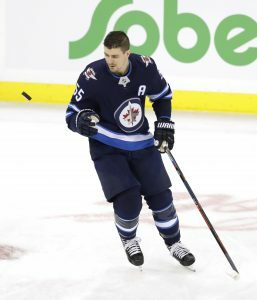 Moving to center for the first extended stretch of his career while Mark Scheifele dealt with injury, Wheeler picked up the position immediately and was a force at both ends of the rink. Setting a new career-high in points with 91, and following that with a 21-point playoff performance, the 6’5″ forward has established himself as one of the premiere playmakers in the NHL and potentially could have demanded an even higher cap hit had he reached the open market. While $8.25MM does become the Jets’ highest cap hit for the 2018-19 season currently, that number will likely be broken by the upcoming Patrik Laine extension that could command upwards of $10MM per season. The Jets are obviously willing to pay a good deal in order to keep their championship window open, but have done well to keep Wheeler on a contract shorter than the maximum eight years. Wheeler, Schiefele, Bryan Little and Nikolaj Ehlers are now all signed through at least the 2023-24 season, while Laine and Kyle Connor are next up for extensions as they head into the final seasons of their entry-level contracts. 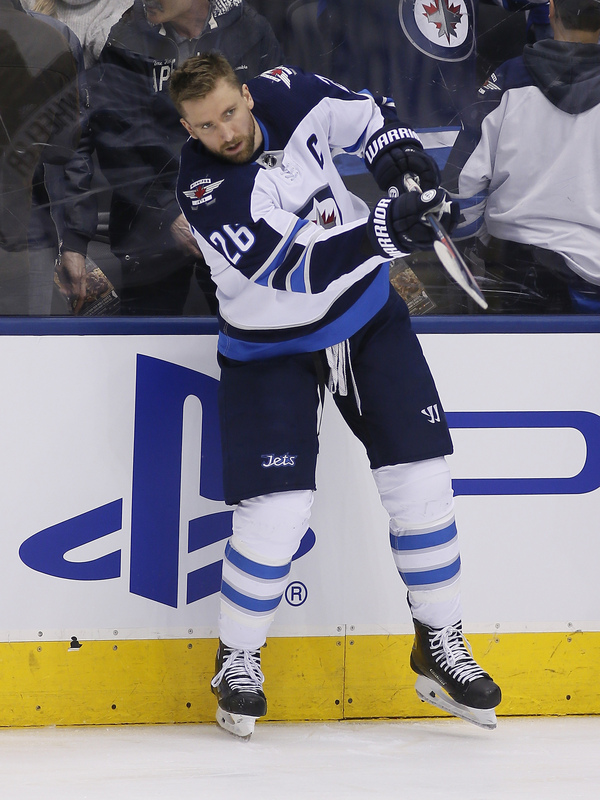 It seems unlikely that Wheeler will be able to match his 90-point pace for the remainder of the contract, but even if he settles back into the 65-75 range that he has put up in previous years the Jets will be more than happy with their investment. 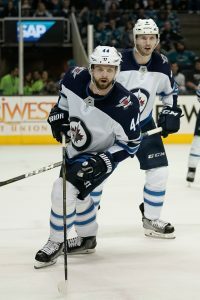 Though his offensive exploits are the biggest reason for his upcoming raise, to a man the Jets organization raves about his leadership qualities on and off the ice, and he’s also earned Selke votes four times in his career as one of the league’s best defensive forwards. For the Jets, there is obvious risk at the end of the contract when Wheeler is heading into his late-thirties, but it’s the price they have to pay in order to keep the window open right now. While the Nashville Predators and others in the Western Conference continue to load up for a run at the Stanley Cup, the Jets should be considered a front runner for the next few seasons. The team does still have quite a bit of work to do this summer, given that Josh Morrissey remains unsigned and Laine, Connor, Tyler Myers and Jacob Trouba are all scheduled for free agency next offseason, but getting Wheeler under contract is a big step forward. The Winnipeg Jets are one of the strongest and deepest teams in the NHL. They reached the Western Conference Finals last season on the back of a strong goaltender in Connor Hellebuyck, a never-ending offensive attack, and a diverse and talented blue line. This summer they had quite a bit of work to do to keep that group together, and have already dealt with several issues. 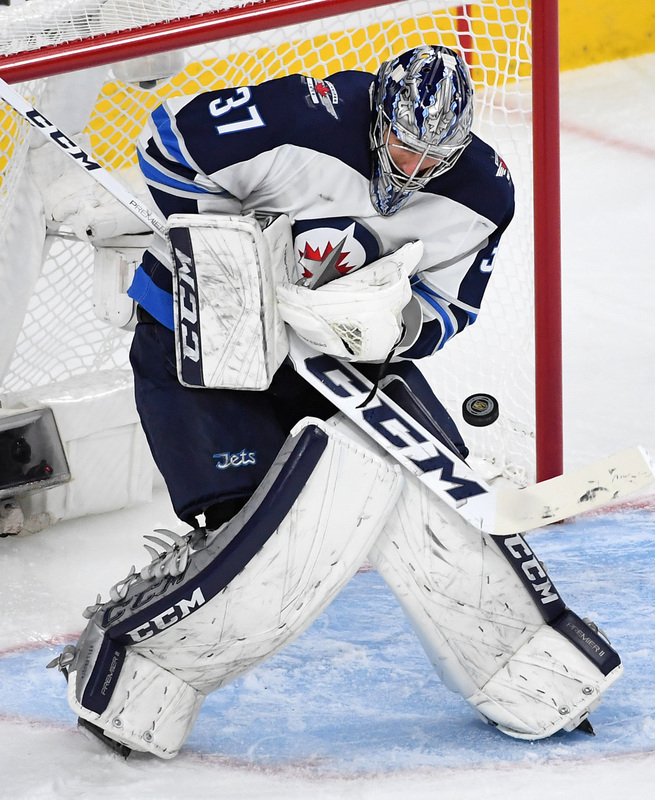 Hellebuyck was signed to a six-year contract, guaranteeing he’ll be in Winnipeg through his prime years, while Adam Lowry and Tucker Poolman signed multi-year deals to maintain their roles as depth players in the NHL. Jacob Trouba reached a one-year deal through the arbitration process, and crept one year closer to unrestricted free agency, and several other fringe pieces re-upped for one-year deals. Just yesterday, Nicolas Kerdiles inked his two-way deal yesterday, but unfortunately, that doesn’t cover nearly all the work the team still has to do. Everyone’s going to have their own opinions and that’s fine, but from my standpoint as a player, my agent and from our conversations with the team, everything’s been going great. Everyone’s confident it will be handled and done, definitely in time for the season. It’s in Myers, Trouba and captain Blake Wheeler that the next group of big decisions lie. All three are scheduled for unrestricted free agency next summer, and though an extension can’t be signed with Trouba until January, the other two are potential extension candidates at any point. The team certainly doesn’t want to watch two of their most valuable players walk out the door in less than a year, especially as they just start their competitive window. Then, there is the question of Patrik Laine and Kyle Connor. Both star forwards are heading into the final years of their entry-level contracts, and both could break the bank on long-term extensions. While Laine says there is no rush to get a deal done, the Jets have to try and save every possible dollar if they’re going to be able to bring back Wheeler and Myers too. Connor is fresh off a breakout 31-goal campaign as a rookie, and Laine looks like he’s poised to be the next great NHL goal scorer capable of winning multiple Maurice Richard trophies and contending for the Hart as league MVP. That kind of player could get an eight figure salary if he pushes hard for it, though the recent Nikita Kucherov extension could put a soft cap on winger earnings for a while. The Jets are currently sitting with $35MM in cap space for the 2018-19 season, but that suddenly doesn’t seem like very much when you start adding up the salaries of Morrissey, Wheeler, Myers, Trouba, Laine and Connor. There’s room to keep everyone in Winnipeg, but it will be a tight fit. The next 12 months will be an incredibly busy period for GM Kevin Cheveldayoff, even while the team tries to compete for the Stanley Cup.